For three and a half years, the Northside Comic Artists have gotten together to drink, draw, and celebrate the medium that they love and work in. Mainly meeting in Chicago’s Edgewater neighborhood, the group has grown to include workshops, convention tableing, and an accountability group aimed at making sure artists keep up with their projects. They’ve also recently launched their third Kickstarter to collect the five anthologies they’ve made over the years. Their biggest Kickstart to date, the hope is that the trade paperbacks success will mean bigger and better things for the group. A larger collection means getting into local comic book stores, and hopefully the production of more comics for the group’s members. The group’s founder, Edward Witt, hopes that by selling the trade paperback anthology, the group can raise funds to support the printing of member’s individual comics and stories. As the group has grown and evolved, he has found that the intent has changed from a simple drink and draw, to building a community of artists who are supportive of each other and help each other grow. 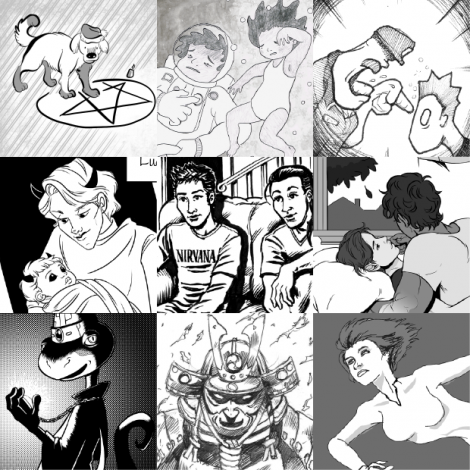 The Kickstarter involves over 60 stories from more than 40 artists and writers in the Chicago community. Ranging in different age groups, skill levels, and interests, the collection includes a wide range of genres from slice of life, to horror, to fantasy. 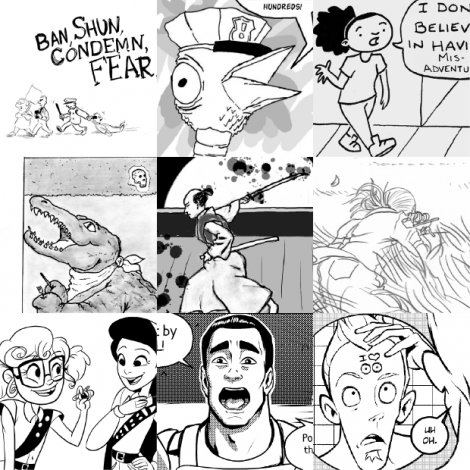 Many of the creators are actively involved in local events like Zinefest and the Chicago Alternative Comix Expo (CAKE), while others are completely new to the scene and using Northside Comic Artists as a way to find their voice and create in a space that is supportive and diverse. The newest anthology never before printed in any form! Each story deals with the fickle and faulty faculty that we all grapple with. 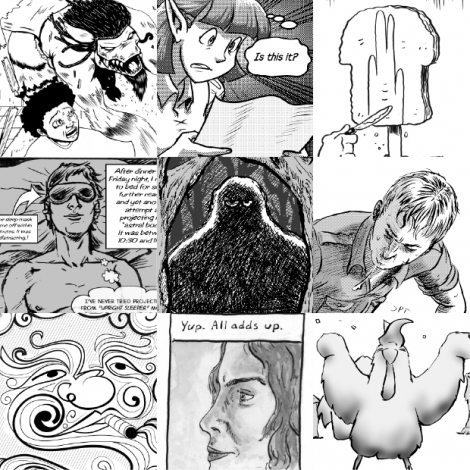 Northside Comic Artists fourth anthology, printed in the fall of 2017. The stories deal with the trials and tribulations of poor souls ranging from samurai to teenagers to snipers. A collection of stories, originally printed in February of 2017, about that mysterious place we always ponder. The place we can’t quite see, but we can sense is there. Love, Sadness, and yes, chickens, abound. 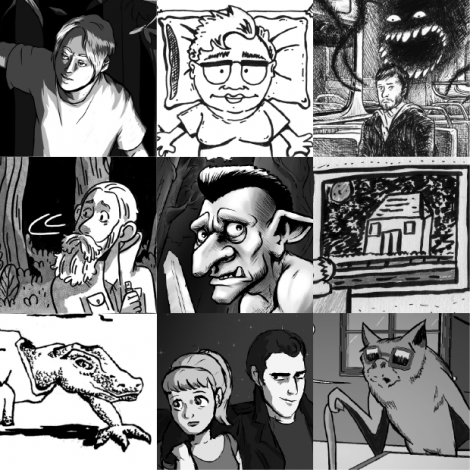 A collection of diverse stories from June 2016 about alien abductions, scary stories, boogie men, and at least one owl. 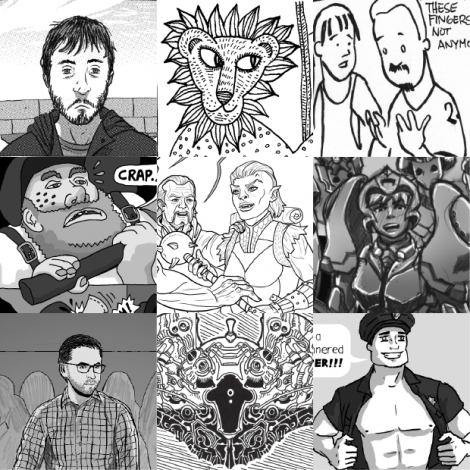 Identity is Northside Comic Artist’s first anthology printed in October of 2015. It includes a collection of stories ranging from poignant drama to surreal sci-fi and characters including humans, half-humans, lizard men, carrot people, and a ghost! You can learn more about Northside Comic Artists by subscribing to their monthly newsletter or find them on Facebook, Instagram, and Twitter.